There are two churches in Castlegregory Parish. 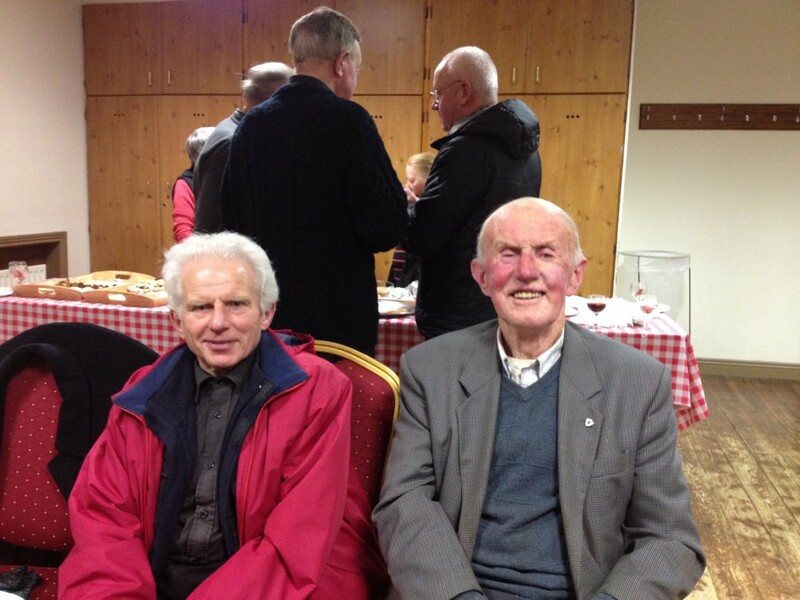 Parish Secretary - Bernie Dowling Telephone : 066 7139145 - Parish Mobile 087 1438060 - email castlegregory@dioceseofkerry.ie Office hours - Closed Monday Open - Tuesday 10.30am to 4pm Wednesday 10.30am to 4pm Thursday 10.30am to 3pm Friday 10.30am to 4.00pm. PLEASE JOIN THE PARISH YOUTH COUNCIL FOR THE ANNUAL EASTER EGG HUNT AND BREAKFAST MORNING IN AID OF THE SIMON COMMUNITY!! Divine Mercy Novena & Chaplet – Please find copies of the Novena in the churches. The novena starts on Good Friday and ends on Divine Mercy Sunday. On the eve of Divine Mercy Sunday – Saturday 27th April, there will be a special evening of prayer, reflection, confession ending with Holy Mass – 4pm to 6pm in St. Mary’s Church with Fr Niall O’Riordan & sisters from the Family of Mary. There will be refreshments afterwards. Parish Youth Council - Stations of the Cross for Our Times/Shadow Play - held in St. Mary's Church on Friday 16th March. January 7th 2018 - Celebrating the Baptism of the Lord - Special blessing for children baptized in the parish during the last couple of years. 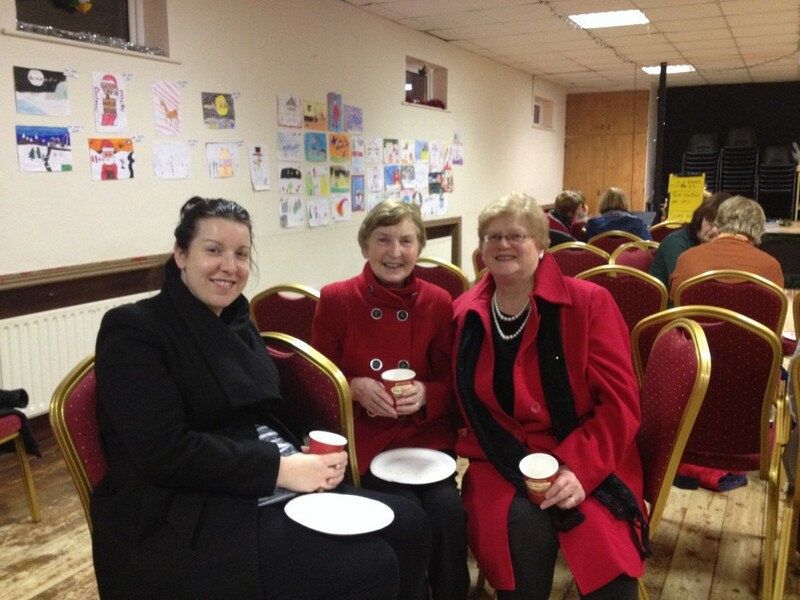 Cup of Tea & Ice Cream after Mass! 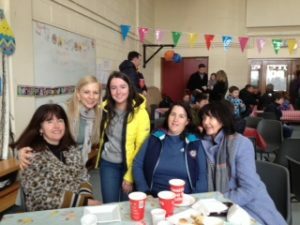 Well done to the Parish Youth Council who hosted a Breakfast Morning and Easter Egg Hunt on Easter Sunday Morning. All proceeds went to the local Community Playground Project. 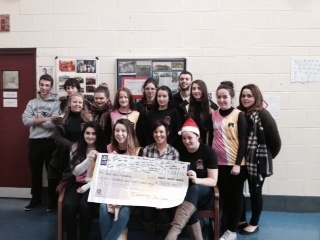 A cheque for 1335 euro was presented to Maura Cronin, member of the playground committee. 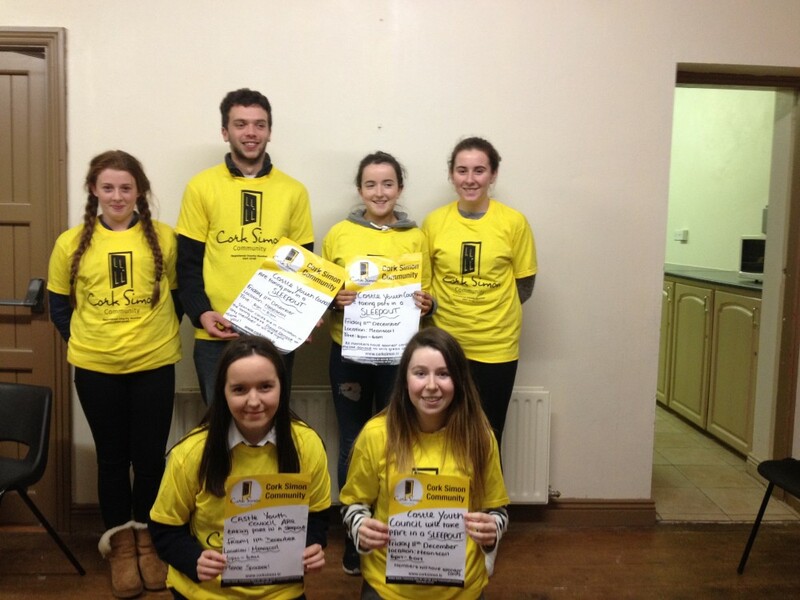 Youth Council Sleep-Out for the Homeless takes place on Saturday 17th December from 6pm to 6am Sunday morning outside Mean Scoil Nua. 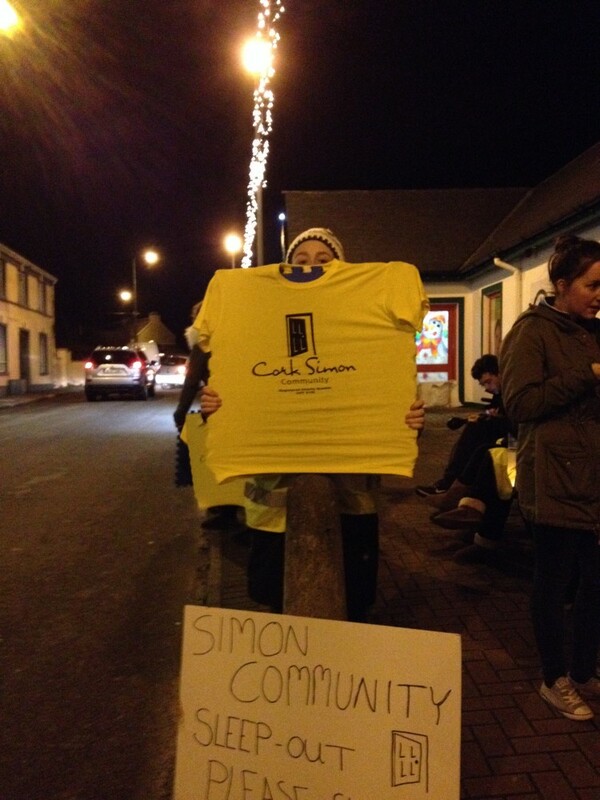 All proceeds to Cork Simon Community. 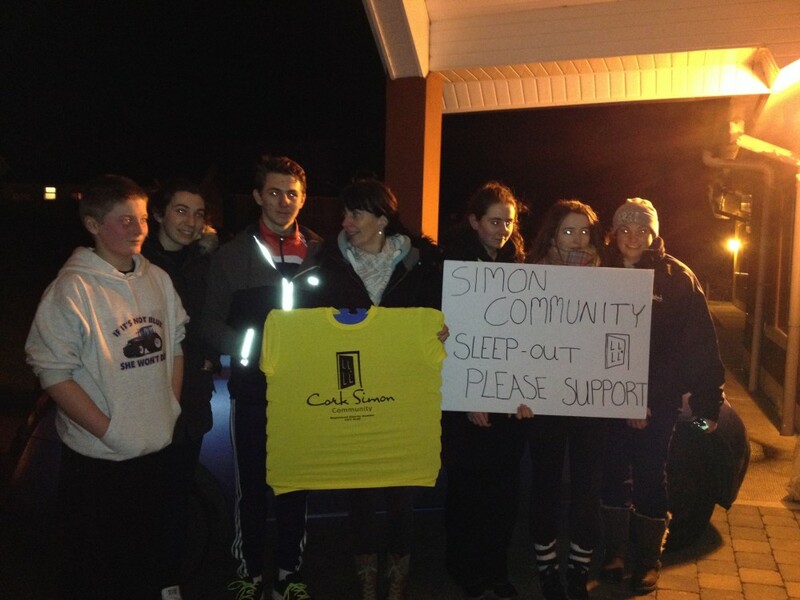 This is the third year of the Sleep-out and has raised over 6000 euro for the charity. Please call to us on the night, the support from the parish the last two years has been amazing. There will be music and carol singing outside the school, please come along! 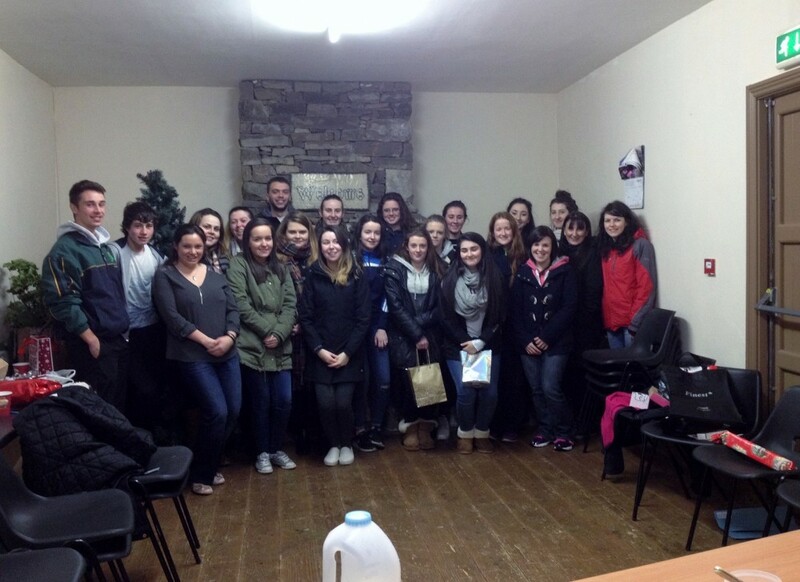 The Youth Council led a prayer service in St Mary's last Friday to remember the deceased. It was a beautiful service of prayer, reflection, music. Last Sunday's Mass in St. Mary's was truly uplifting! Priests from all over the world concelebrated Mass with Fr Hussey. The group of priests were visiting the area with Michael Fitzgerald. The following countries were represented, Mexico, Spain, Honduras, Slovakia, Panama, Italy, China, Poland, Congo, Brazil. Our own Fr Joe Deane who visits every summer, was representing Texas and Castlegregory!! 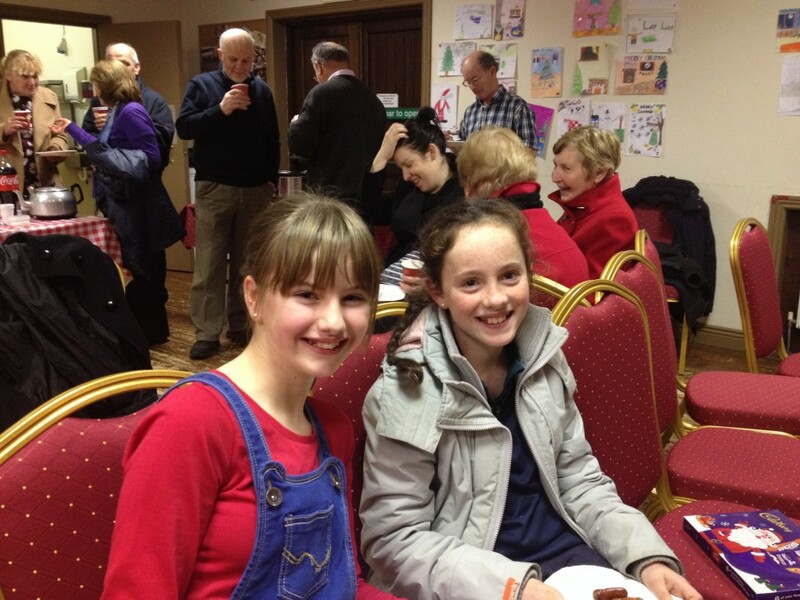 BEST OF LUCK TO ELLEN, AMY, EVA AND SHANNEN WHO SET OFF TO KRAKOW ON MONDAY 25TH JULY TO CELEBRATE WORLD YOUTH DAY. 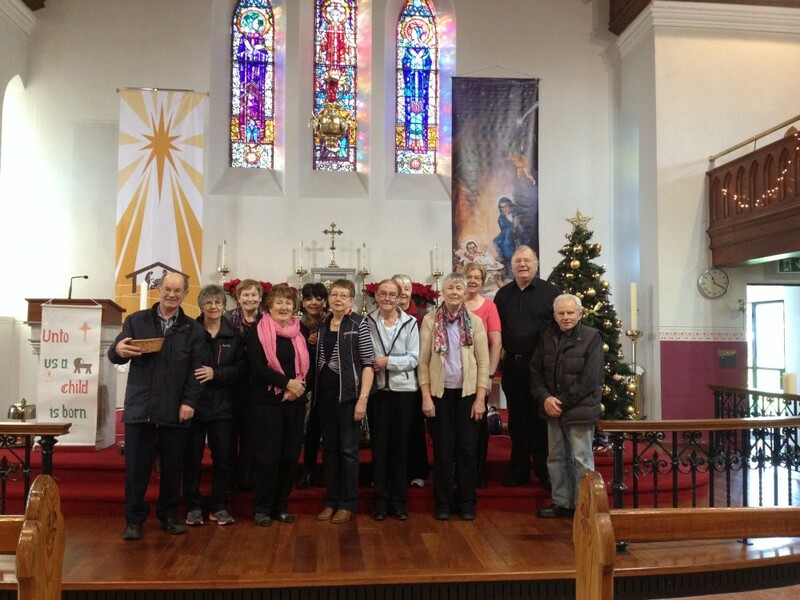 THEY RECEIVED A SENDING OFF BLESSING ON SUNDAY 24TH JULY FROM A PACKED ST. MARY'S CHURCH, CASTLEGREGORY. WORLD YOUTH DAY HERE WE COME!! We had the privilege of meeting some young men studying for the priesthood last weekend 24th April 2016. Decon Paul Bechter, Deacon Michael Niemczak and acolytes Joseph Heschmeyer, Stephen Logue and Frank Furman were visiting West Kerry and came to our parish Mass on Sunday in St. Mary's. They come from different parts of the United States and are studying in Rome at present. They each spoke eloquently about their faith and how they came to believe that God was calling them to the priesthood. After Mass they were surrounded with parishioners wishing them well and assuring them of their prayers. 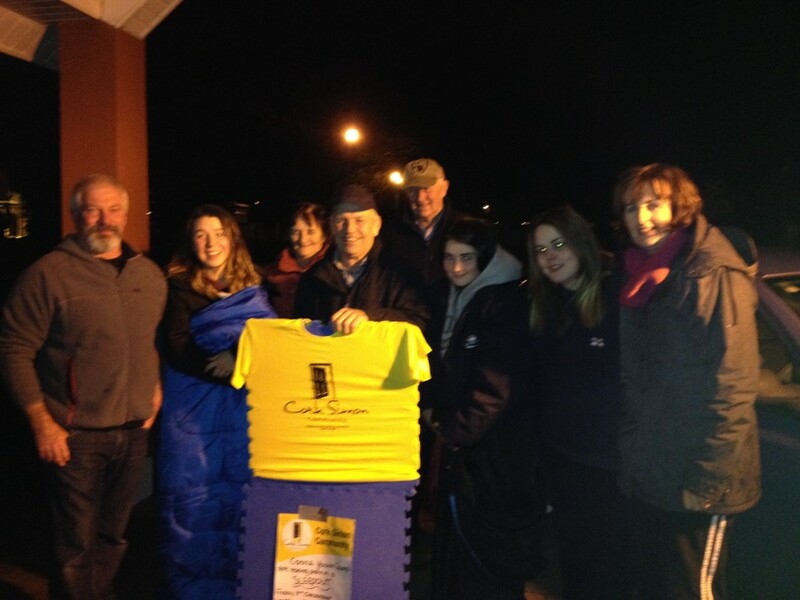 The SleepOut for the homeless took place on Friday 11th December from 6pm Friday until 6am Saturday morning. 18 members of the youth council took part. 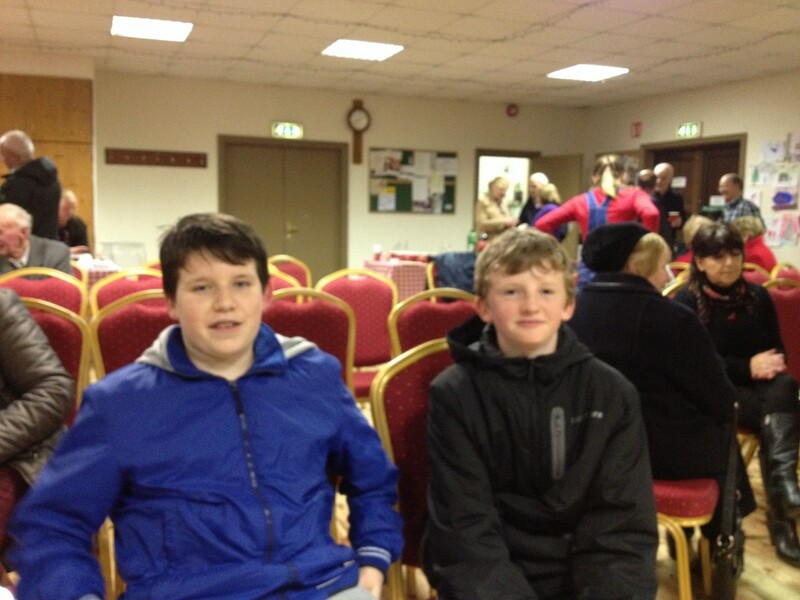 Money is still coming in and the Youth Council collected 850 euro on the night from people stopping by to donate. Thank you to all who supported them and to those very kind people who called to bring hot drinks and food during the night. Here are some of the pictures. Check out their facebook page for more pictures. 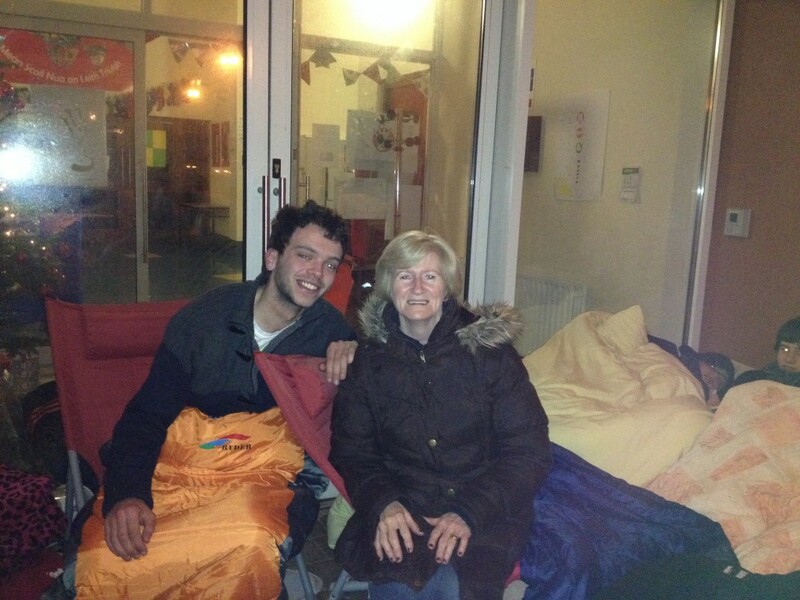 Some of the kind people who brought food and hot drinks to the gang during the night! 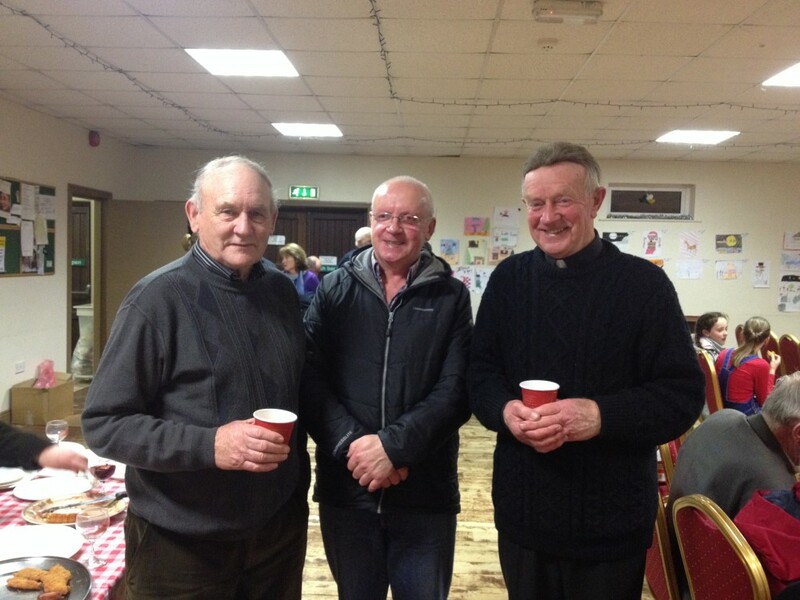 A Mass took place in the Clubrooms on Wednesday 8th December last for all those who help in the parish. A presentation was made to altar servers who have moved on to secondary school. During Advent, please take a tag from the Jesse Tree, purchase that item/items and return to any of the Masses during the week or drop it into the parish office. All items will be made up into hampers and delivered locally before Christmast. This project has been very successful over the last few years. Your support is always appreciated, Thank you. For weekday Mass Schedule please see Parish Life Centre Newsletter for current week.